With the opening of the Joan and Robert Rechnitz Hall, the creation of the DiMattio Gallery was also celebrated. Dedicated in 2013, the DiMattio Gallery is named in tribute to Professor Vincent DiMattio, a teacher and artist at Monmouth University since 1968. This two-story state of the art gallery offers nearly 2,000 square feet of exhibition space. 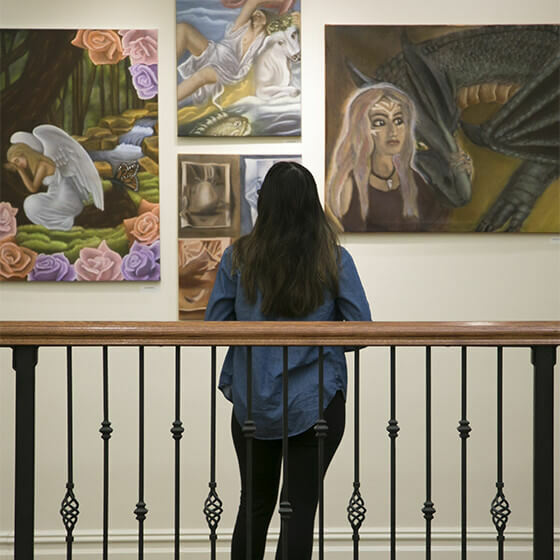 In addition to presenting student exhibitions, the DiMattio Gallery has recently showcased exhibits including “Bruce Springsteen, A Photographic Journey,” as well as Jacob Landau and Robert Mueller collections.